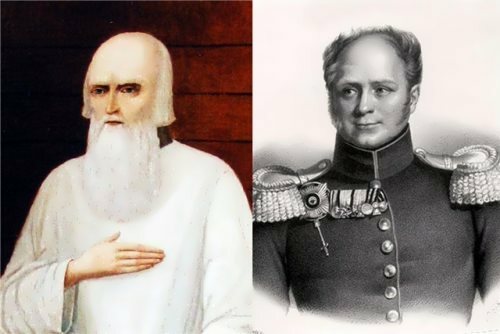 Alexander Kolchak is a prominent military commander and Russian statesman, a polar explorer. 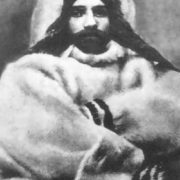 During the Civil War he entered the historical chronicles as the leader of the White movement. 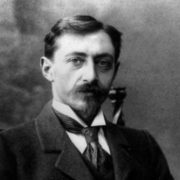 Alexander Vasilyevich was born on November 16, 1874 in a suburb of Petersburg into the family of hereditary noblemen. 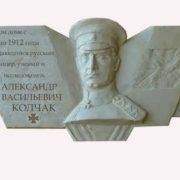 The Kolchaks gained fame in military campaigns, serving the Russian Empire for many centuries. 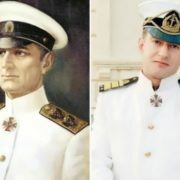 His father was the hero of the defense of Sevastopol during the Crimean war. Up to 11 years the boy received home education. 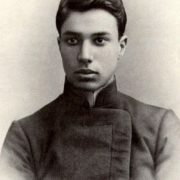 From 1885 to 1888 Alexander studied at the gymnasium and then he entered the Marine Cadet Corps. As the best student the boy was appointed sergeant major. 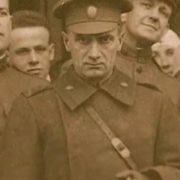 He graduated from the Cadet Corps in 1894 in the rank of midshipman. 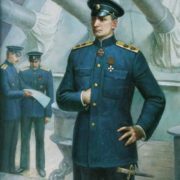 From 1895 to 1899 Kolchak served in the military Baltic and Pacific fleets, made round the world trip three times. Actually, he was engaged in independent research of the Pacific Ocean, most of all he was interested in its northern territories. 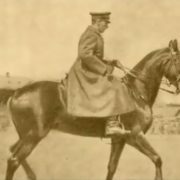 In 1900, the young lieutenant was transferred to the Academy of Sciences. At that time, the first scientific works began to appear, in particular, an article about his observations of the sea currents. But the young officer’s goal was not only theoretical, but also practical research – he dreamed of going to one of the polar expeditions. 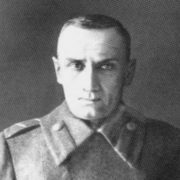 Well-known Arctic explorer Baron Eduard Toll became interested in his publications and invited Kolchak to take part in the search for the legendary Sannikov Land. To find missing Toll, Alexander made a risky trip and found the remains of the deceased expedition. During that dangerous campaign Kolchak caught a severe cold and miraculously survived after a heavy lung inflammation. 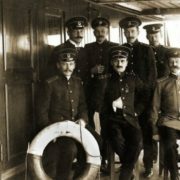 In March 1904, immediately after the outbreak of the war, without recovering from the disease, Kolchak went to the besieged Port Arthur. The destroyer Serdity under his command took part in the installation of protective mines in dangerous proximity to the Japanese raid. Thanks to those actions several enemy ships were destroyed. In the last months of the siege he commanded coastal artillery, which caused considerable damage to the enemy. During the fighting was wounded and captured. 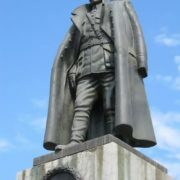 In recognition of his fighting spirit, the command of the Japanese army freed Kolchak from captivity. 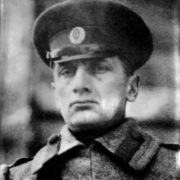 After treatment in the hospital Kolchak received a six-month vacation. 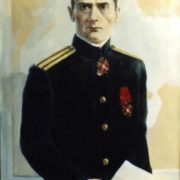 In June 1906, Kolchak headed the commission at the Marine General Staff to clarify the reasons that led to the defeat at Tsushima. 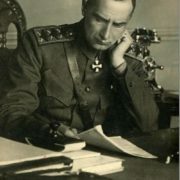 As a military expert, he often spoke at the State Duma. 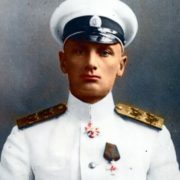 His project, devoted to the realities of the Russian fleet, became the theoretical basis for the entire Russian military shipbuilding in the pre-war period. 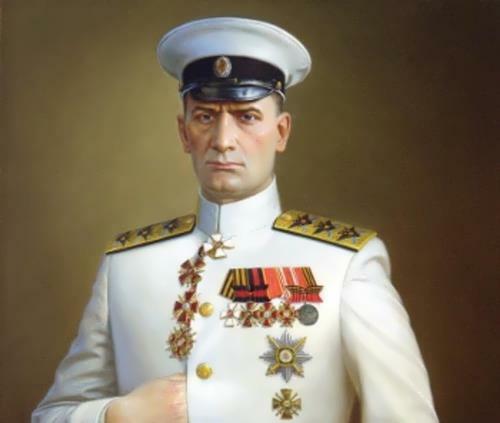 In 1906-1908 Kolchak personally supervised the construction of four battleships and two icebreakers. 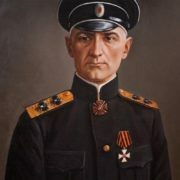 For his invaluable contribution to the exploration of the Russian North, Lieutenant Kolchak was elected a member of the Russian Geographical Society. At the same time, Kolchak continued to work on the systematization of materials from past expeditions. 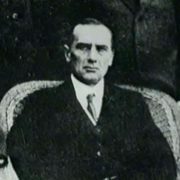 His work on the ice cover of the Kara and Siberian seas, published in 1909, was recognized as a new step in the development of polar oceanography in the study of the ice cover. 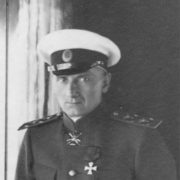 During the First World War Kolchak was appointed Commander of the Mine Division. 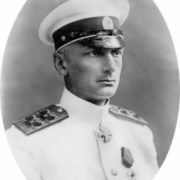 In June 1916, Alexander became Commander-in-Chief of the Black Sea Fleet. After the February Revolution, Kolchak was faithful to the emperor. 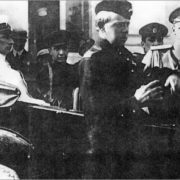 Arriving in Petrograd, Kolchak laid the blame on the Ministers of the Provisional Government for the collapse of their own army and country. After that, the dangerous admiral was actually sent into political exile as the head of the allied military mission to America. In the South of Russia there was the Volunteer Army, in Siberia and in the East there were many scattered governments. Having united in September 1918, they created a Directory and needed a “strong hand”. 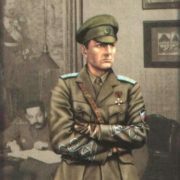 Kolchak was offered the title of the Supreme Ruler of Russia after a white coup. His policy was the restoration of the foundations of the Russian Empire. All extremist parties were banned by his decrees. The government of Siberia wanted to achieve reconciliation of all groups of the population and parties, without the participation of left and right radicals. 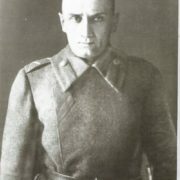 The highest victories of his army were achieved in the spring of 1919, when it occupied the territory of the Urals. 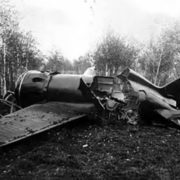 However, after the successes there was a series of failures, caused by a number of miscalculations: Kolchak’s incompetence in the problems of state administration, partisan and Socialist-Revolutionary resistance, political disagreements with the allies. 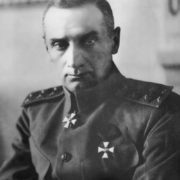 In November 1919 Kolchak was forced to leave Omsk and in January 1920, he gave his power to Denikin. The fate of the legendary person ended tragically. Some historians call the cause of death the personal secret instruction of Vladimir Lenin. 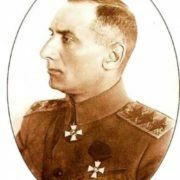 Kolchak was shot on February 7, 1920 in Irkutsk. His name is immortalized on memorial plaques, monuments, in feature films. Sofya Omirova, hereditary noblewoman, was Kolchak’s wife. Because of the prolonged expedition, she waited for her groom several years. Their wedding took place in March 1904 in Irkutsk. They had three children. 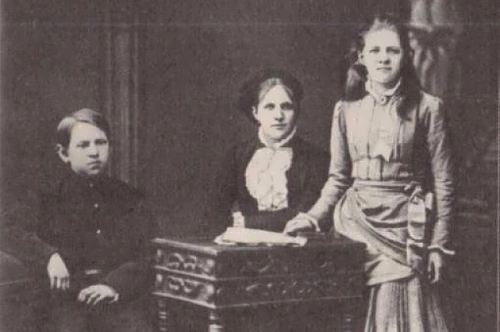 The first daughter, born in 1905, died in infancy. 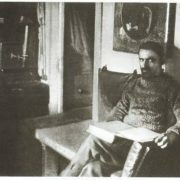 Son Rostislav was born on March 9, 1910. 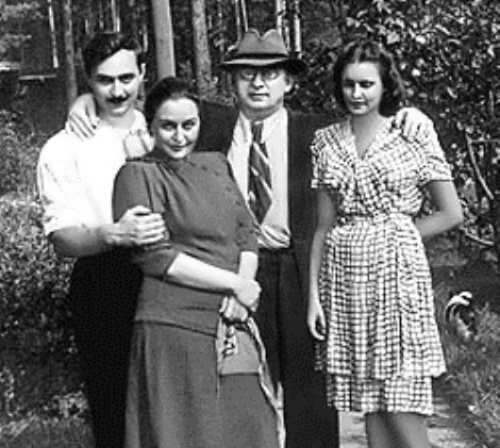 Daughter Margarita, born in 1912, died at the age of two. In 1919 Sofya Omirova and her son, with the help of British allies, emigrated to Constanta, and later to Paris. She died in 1956. 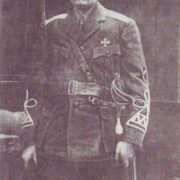 Son Rostislav, an employee of the Algerian Bank, participated in battles with the Germans on the side of the French army. He died in 1965. Kolchak’s grandson Alexander, born in 1933, lives in Paris. 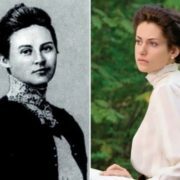 Anna Timireva was the last love of Kolchak. They met in 1915 in Helsingfors, where she came with her husband, a naval officer. After the divorce in 1918, she followed the admiral. 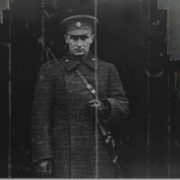 Anna was arrested together with Kolchak, and after his execution spent almost 30 years in various exiles and prisons. She died in 1975 in Moscow.